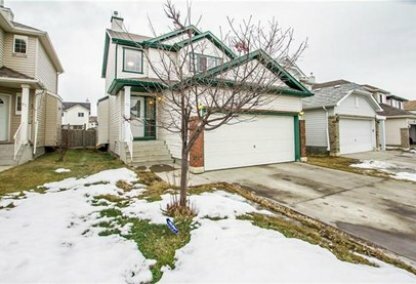 Browse today's newest Saddle Ridge homes for sale in Calgary! The Saddle Ridge community is nestled in the northeastern region of Calgary, just on the northeastern edge of the city. It's centered by 36th Street E, MacKnight Boulevard, 68th Street E, and 96th Avenue N. Discover the hottest Saddle Ridge real estate for sale now! Schedule a guided home or condo tour with your Saddle Ridge Calgary real estate agents today. Saddle Ridge housing market statistics: As of April 24, 2019 there are currently 83 properties for sale in Saddle Ridge listed as active, with an average asking price of $422,915. The highest-priced property is $749,500; the lowest priced property can be purchased for $149,900. Saddle Ridge neighbourhood listings have an average price of $260 per square foot, based on listings with 3.7 bedrooms, 3.3 baths, and 1,633 square feet of living space. Thinking of selling or buying a home in Saddle Ridge Calgary? Call Justin Havre at RE/MAX First - 403.217.0003. Our community of Saddle Ridge real estate agents will help you navigate the Saddle Ridge housing market in Calgary. During the 1970s, the Saddle Ridge community was mainly comprised of open land areas, but serious development started in the 1990s. Saddle Ridge Industrial is the main site for future development of this neighborhood. It is targeted to be a place of commercial and light industrial growth. 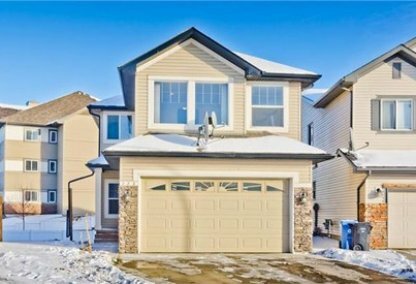 One of the great conveniences of Saddle Ridge homes for sale is that the Calgary International Airport and the Saddle Ridge Industrial Area are just beside the neighborhood on its west side. Home buyers in the area enjoy a pool of amenities such as BBQ and picnic areas, the Saddle Ridge School, the Light of Christ Catholic School, the Valley Ridge gas station, Maple Ridge School, easy access to public transportation, shopping, restaurants, laundry facilities, and a view of beautifully landscaped grounds around the properties. Saddle Peak Trail Rides offers horseback riding lessons and exciting trail rides starting from the Richards Family Ranch going through some great spots in the area. As more real estate development occurs in the neighborhood, additional baseball diamonds and soccer fields are being added to the community. Shamrock is also a great place in the neighbourhood where up-and-coming acts perform each week. It constantly attracts an interesting crowd of people on its lounge. The area also boasts a small group of historic hotels that add identity to this community. A great addition to the Saddle Ridge neighborhood is the newly opened LRT Extension stations. These new stations are in Marlindale and Saddletown. These two stations make it more convenient for home owners and visitors alike to get to their points of destination faster. Thinking of buying or selling a home in Saddle Ridge Calgary? Let our local real estate agents help guide you through the purchase of your next property, or to professionally negotiate the sale of your current home. As local Saddle Ridge real estate agents, we're experts on the market dynamics unique to the Saddle Ridge real estate. We'll get to work today! Contact Justin Havre at RE/MAX First - 403.217.0003 to learn more about buyer or seller representation. Planning to sell your Saddle Ridge home? Check out our home evaluation tool, where you can instantly view Calgary Homes Values online!